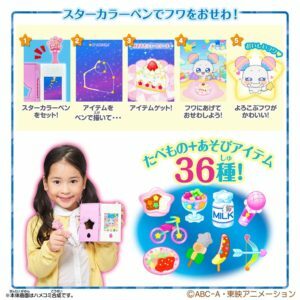 *Japanese Product. 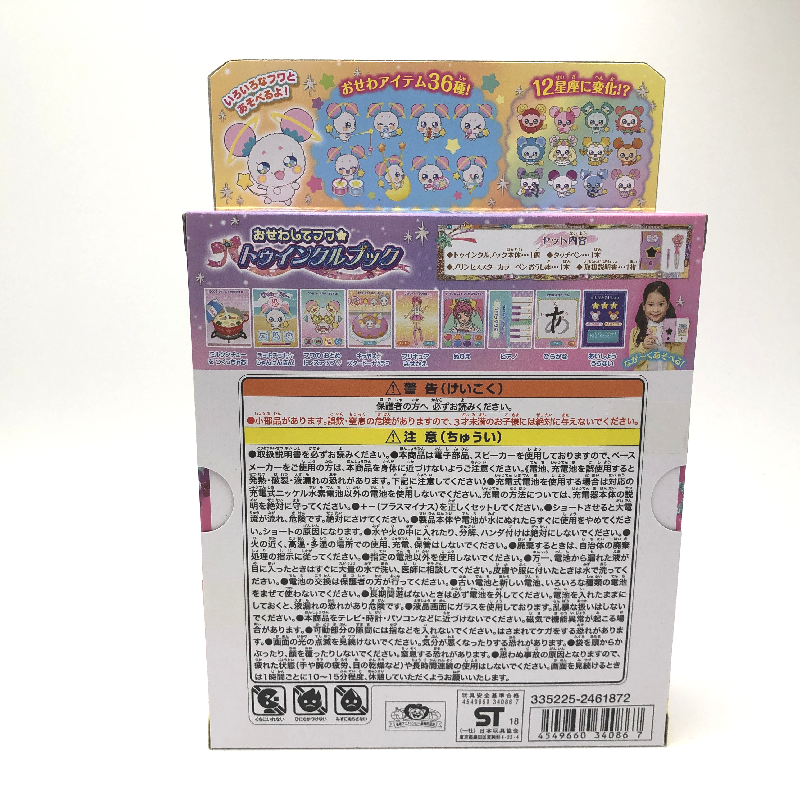 The language is in Japanese. 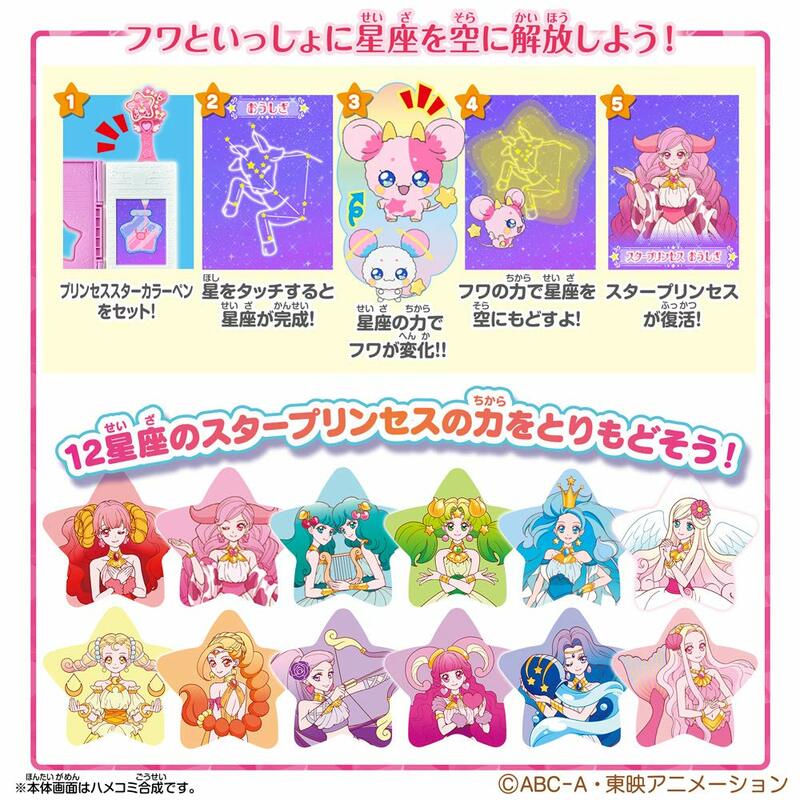 Bandai , FEB 2019. 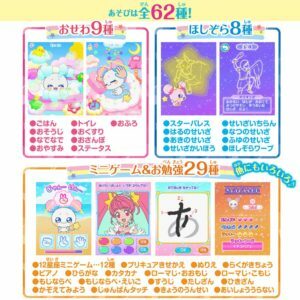 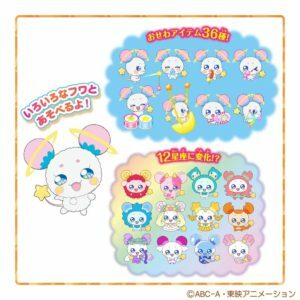 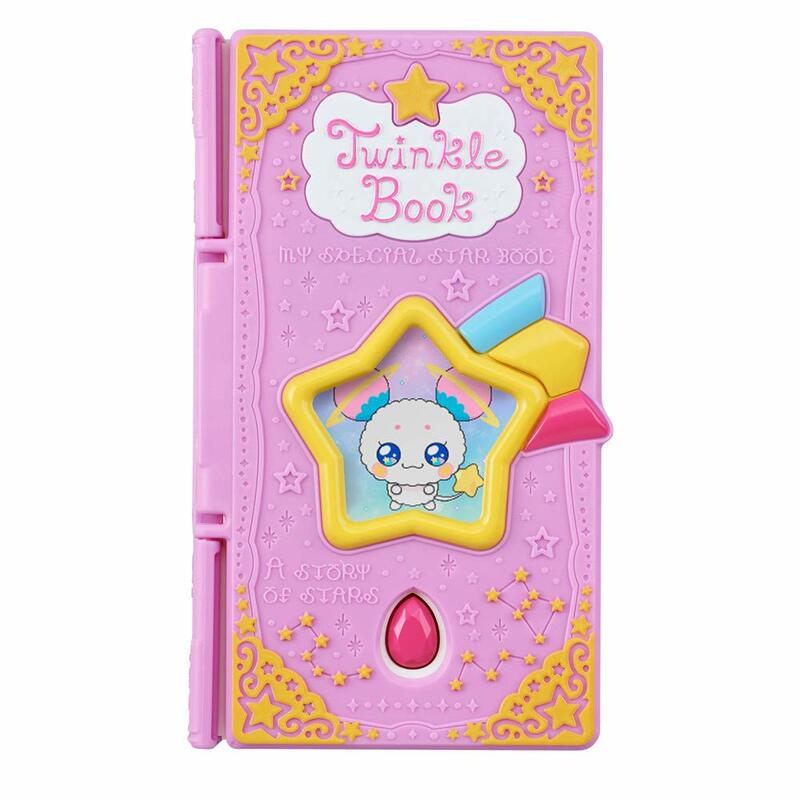 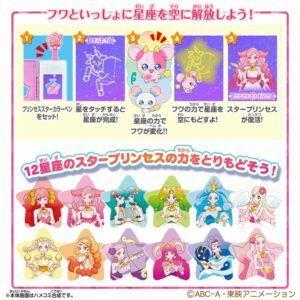 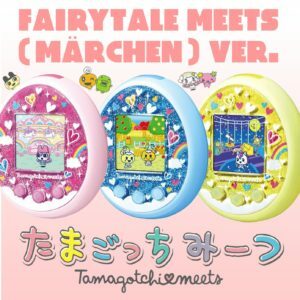 You can enjoy the care of “Star ☆ Twinkle Precure” main character “Fuwa”. 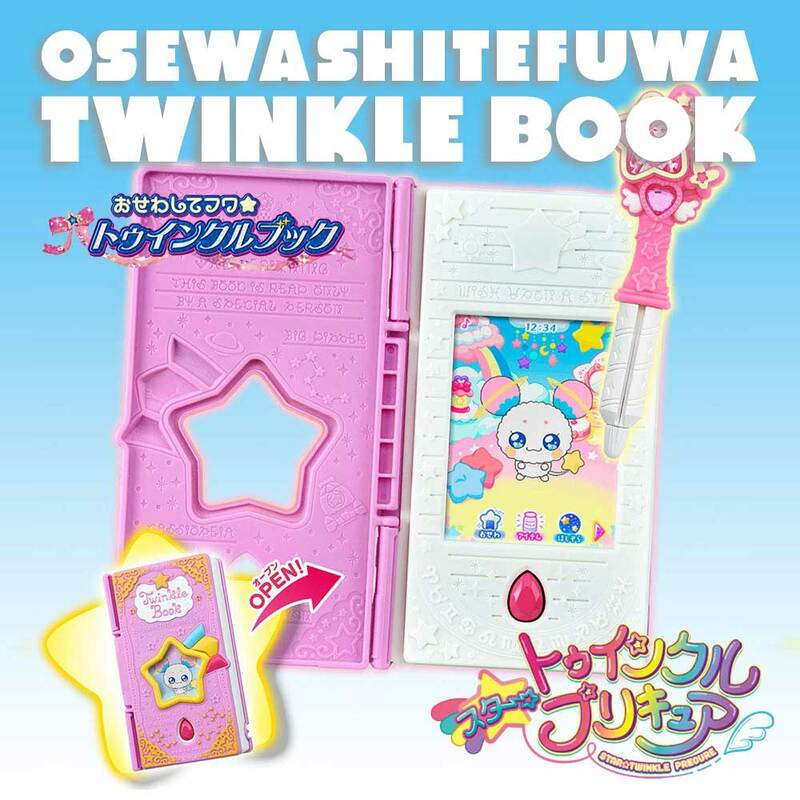 In “OSEWA” you can use “star color pen” to give “OSEWA ITEM”. 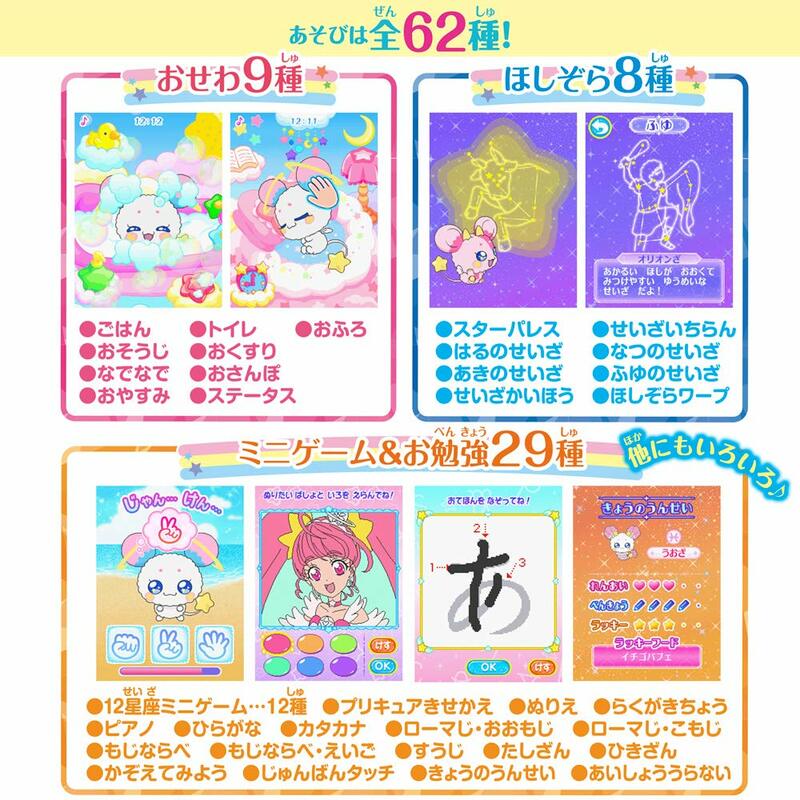 Also, by using nine basic care menu such as toilet and bath, you can enjoy various FUWA reactions such as laughing and crying. 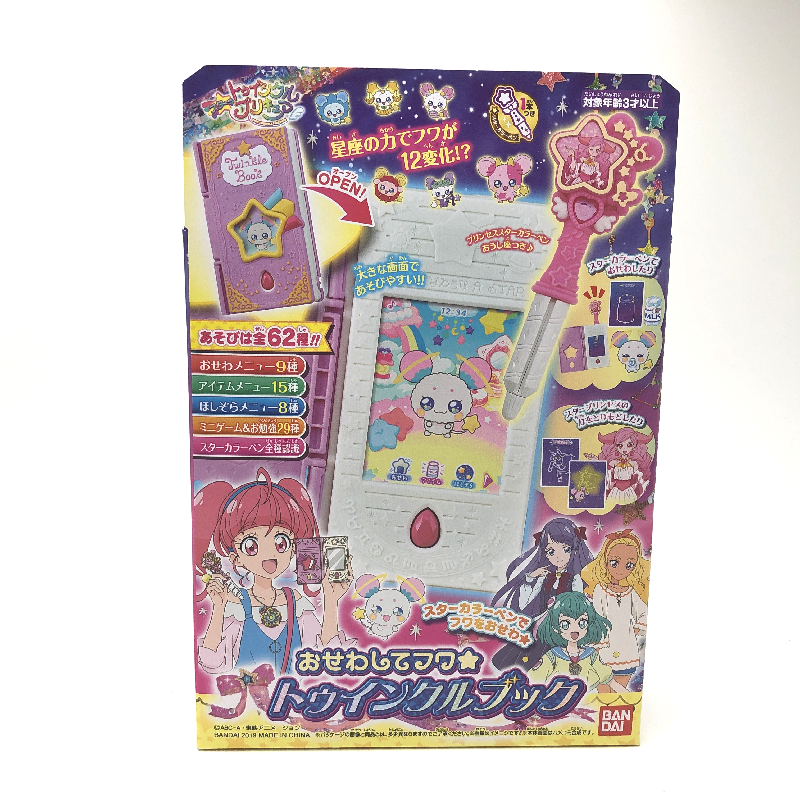 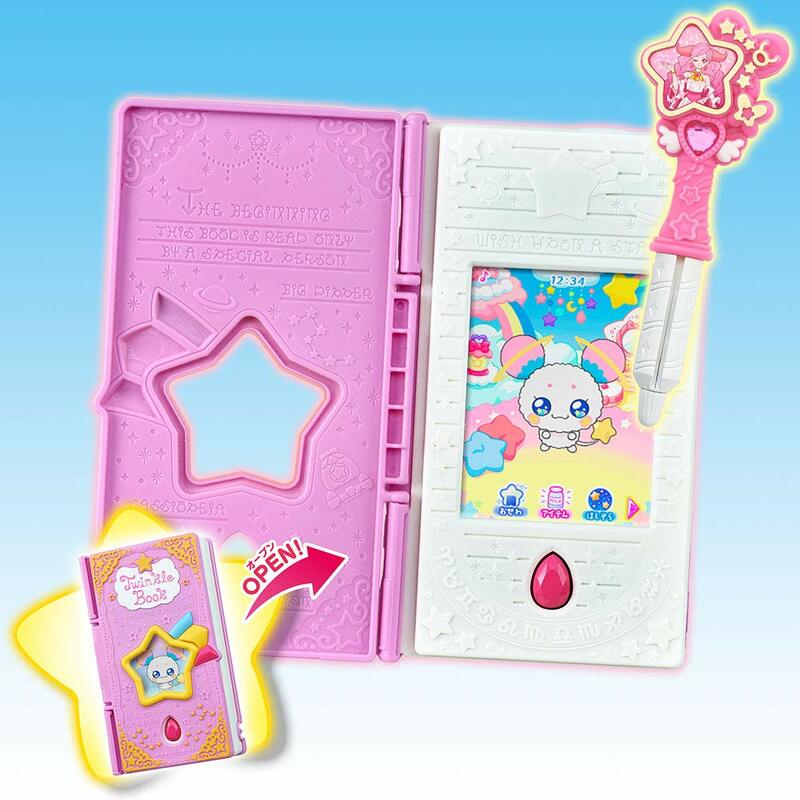 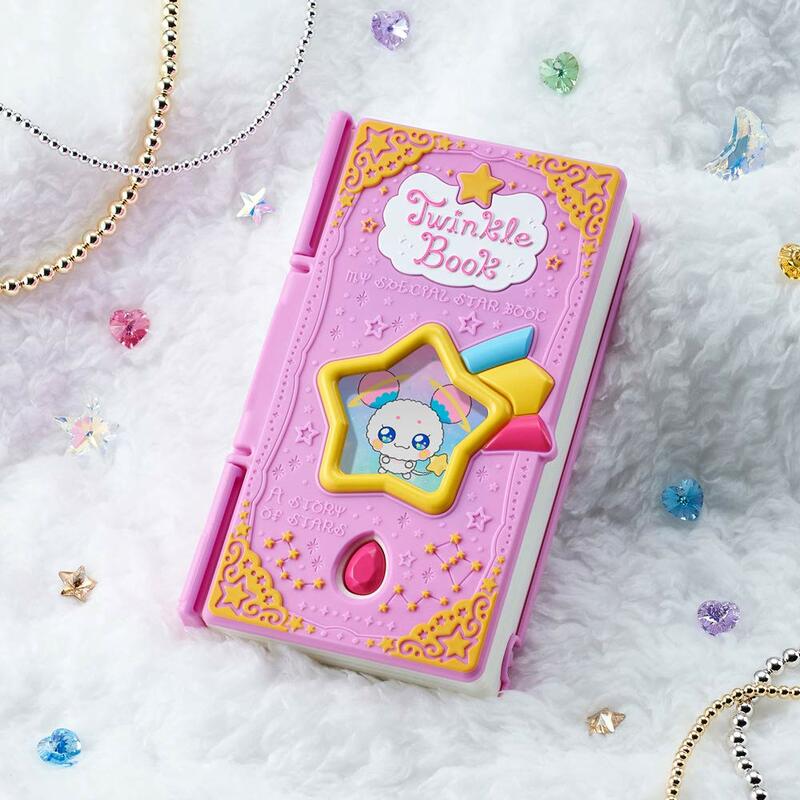 In “SEIZAKAIHOU” (collecting princess star color pens and restoring the power of the Star Princess), you can enjoy playing that FUWA transforms into 12 constellations and FUWA will reap the power of the Star Princess with child . 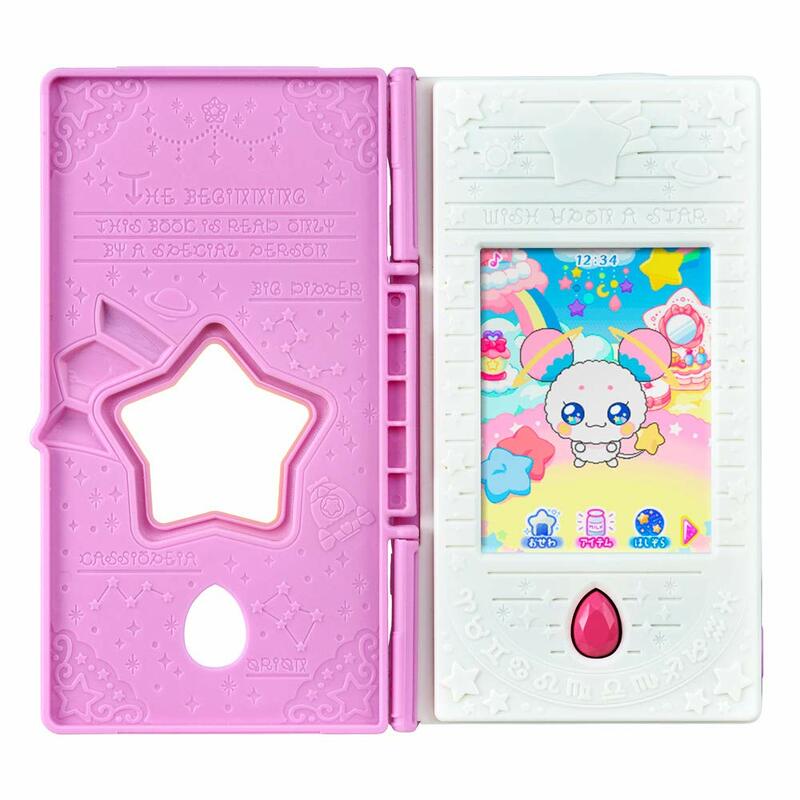 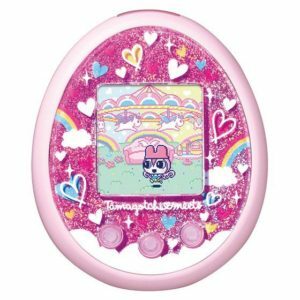 In addition, there are 62 kinds of constellation related applications, mini games, study menus, and we will play long with a large 2.8-inch LCD screen. 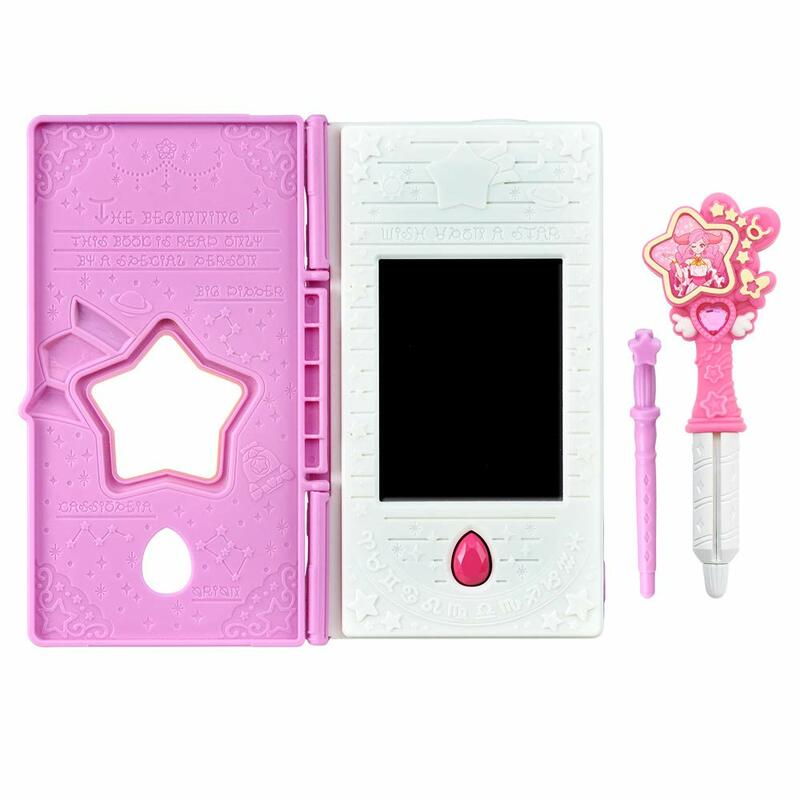 It can recognize all types of star color pens and you can touch the LCD screen as it is with a star color pen. 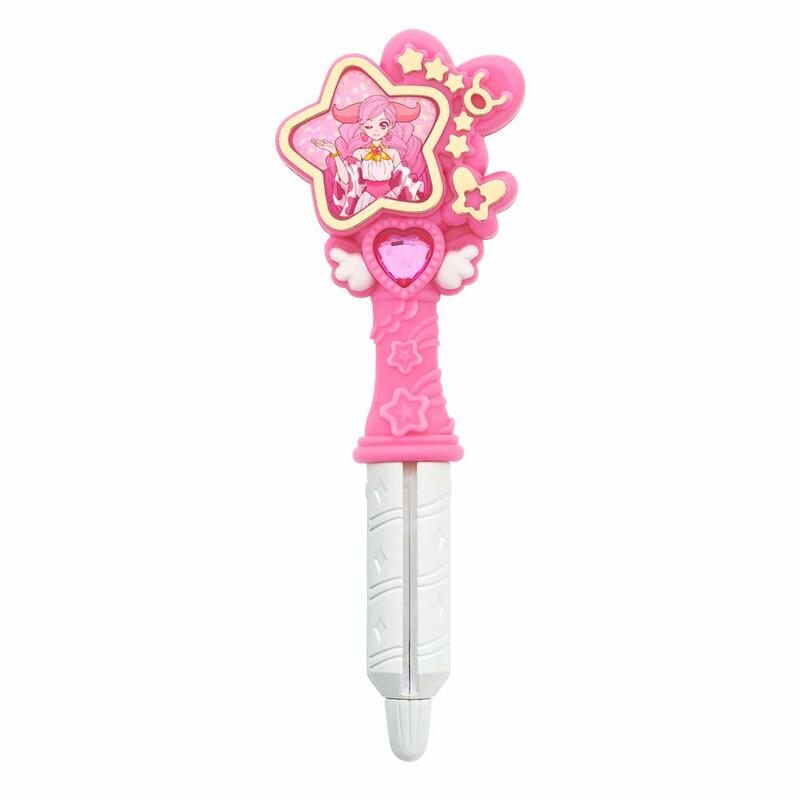 One “Princess Star Color Pen Taurus” is attached.